After months of jeers and cheers, gaffes and laughs, even a mock referendum and a televised debate, the government’s 2012 Reform Package was passed by a wide margin this Friday. Less than two weeks before the bill was put to a vote, with time running out and Beijing breathing down his neck, Donald Tsang cobbled a feeble campaign together to promote what he touted as the only way to break the legislative impasse and to pave the way to universal suffrage. But the snake oil salesman failed to impress and Tsang was all but ready to accept defeat, just as he did five years ago when the pan-democrats vetoed a similar bill. Then suddenly, the storm calmed and the sky cleared: the biggest opposition party came to the chief executive’s rescue and handed him the seven votes he needed to close the deal. The rest, as they say, is history. Before we begin talking about the reform package, you need to understand a few of things about our wacky political system. The Basic Law, Hong Kong’s mini-constitution, stipulates that gradual changes are to be made to the way our chief executive and legislators are elected, with the goal that citizens will eventually be given the right to universal suffrage. 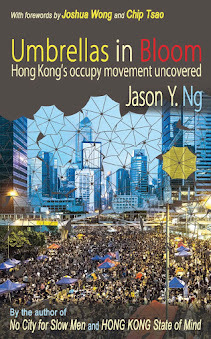 What the government doesn’t want you to know, however, is that to get there we must first do away with the functional constituencies (功能組別), an invention put in place by the colonial government in 1985 out of political expediency. 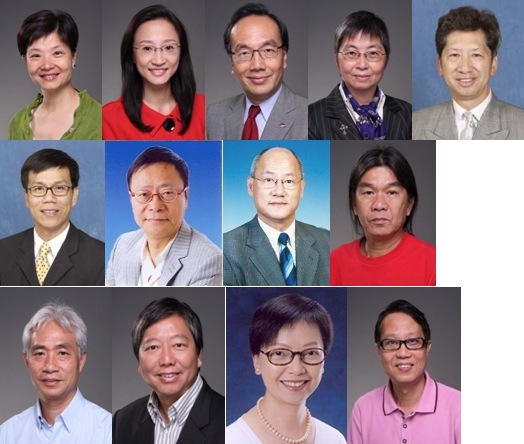 Taking half of the 60 seats in the Legco, functional constituencies are each handpicked by a small circle of voters within a trade or interest group. The Engineering seat, for instance, is selected by only a few thousand registered engineers, whereas the electoral base for the Insurance seat is made up of not a single individual but 140 insurance companies. It is absurd, but hey, this is Hong Kong! Despite their small and uneven electoral base, functional constituencies wield enormous political power. 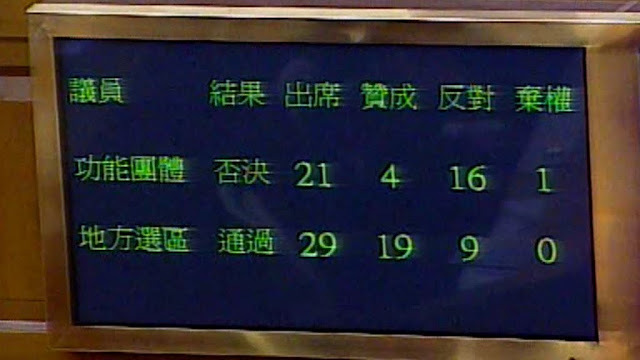 Under the so-called “separate vote count” (分組點票) mechanics, any bill introduced by a Legco member must first be passed by the 30 non-functional, “geographical” seats, before it is put to a separate vote by the 30 functional seats. Think of the split as the Upper and Lower Houses of the British Parliament or the Senate versus the House of Representatives of the United States Congress. Designed to keep the opposition at bay, the bicameral voting procedure enables pro-Beijing special interest groups to override any decision made by democratically-elected lawmakers. But the wacky gets wackier yet. This procedure applies only to bills proposed by individual lawmakers; government-led initiatives, on the other hand, such as the controversial high-speed rail link proposal, require only a simple majority resolution by the 60 seats voting together. The double standard ensures that the government retain complete control over the legislative process and flies in the face of the principle of separation of powers. 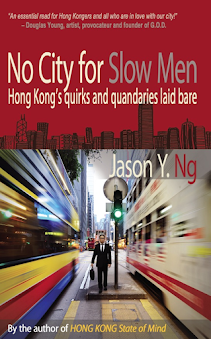 If you are still reading this, then you must have a longer attention span than the average Hong Konger. Say the words “electoral base” or “super-majority” and people cringe and run for cover. In a money-grubbing, politically apathetic city like ours, few have the time or patience to understand all that mumbo jumbo, and fewer still bother to do something about it. That is precisely why the functional constituencies, as grotesque and pitifully undemocratic as they are, have managed to survive for 25 years unscathed and unchanged. But not any more. Despite the abysmal voters’ turnout at the de facto referendum organized by the League of Social Democrats (社民連) and the Civic Party (公民黨), the campaign succeeded in cutting through the obfuscation and telling Hong Kongers the one thing they need to know about the whole debate: functional constituencies are bad for us. Now back to the reform package. 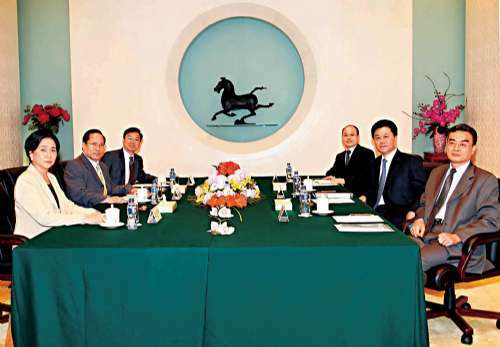 When members of the Democratic Party (民主黨) were invited to sit down with government officials and representatives from the Liaison Office (中聯辦) to try to end the legislative stalemate, party chairman Albert Ho (何俊仁) came up with a few minor tweaks to the government’s reform proposal and offered to endorse it on the condition that Beijing must promise to abolish the functional constituencies by 2020. When the Central Government finally threw him a bone, accepting the Democratic Party’s small revisions but rejecting that other more important demand, Ho made a 180-degree turn and hailed Beijing’s pygmy concessions as a major political breakthrough. In a matter of just a few days, the Democratic Party went from the administration’s sworn enemies to its cozy bedfellows, catching his opponents off-guard and angering even the staunchest of supporters. Local politics, I realized, is every bit as unpredictable as this year’s World Cup group matches. 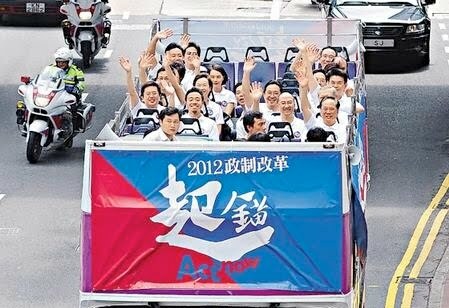 On the issue of political reform, the only thing the city should care about is true universal suffrage. How we get there and what baby steps we should take in the interim to reach the finish line are a political exercise at best. The ugly U-turn by the Democratic Party has not only legitimized the functional constituencies by endorsing a plan that increases, rather than reduces, the number of their seats, but it also tacitly ceded the control of our legislative process to Beijing and in doing so threw the “one country, two systems” framework under the Basic Law out the window. Ever since the 1997 Handover, pan-democrats have closely guarded their veto power as their only weapon against the government on constitutional matters, only to be blindsided at the most critical moment by one of their own who handed over its votes to their enemies on a silver platter. The passage of the reform package has pitted the pan-democrats against each other, and a realignment of power within our political landscape is already underway. We will find out at the next general election whether the Democratic Party’s high stake gamble, played out so publicly this past week in front of a watching city, will pay off or backfire. For now one thing is for sure: Ho and his party members have crossed over to the dark side and passed the point of no return. In the end 13 lawmakers stood their ground and voted with their conscience, but from this point on they must fight their battles alone. If it was Beijing’s plan all along to use the reform debate to drive a wedge among the pan-democrat coalition, then they had succeeded many times over.